Protein treatment for hair has been proven to be an excellent way to fill in the gap between routine hair care and environmental damage. The environment, including the air we breathe and the water we bathe or swim in, contains toxins like heavy metals and other pollutants that can quickly damage hair. This damage can be hard to notice. In fact, most individuals do not recognize their hair is damaged until it ceases to hold styles the way it used to or it breaks off completely. Nevertheless, protein treatments for hair must be done a certain way and at a certain frequency to produce the best results. These steps can look a little different for everyone depending on their personal hair needs, but this article covers the basics of what you need to know to get started. What is a Protein Treatment for Hair? As its name implies, a protein treatment is a conditioning mixture of ingredients that are high in protein. Upon application to the hair, it binds the cuticle layer and deposits protein into the cuticle. Many plant and animal products contain protein, so you can easily find a number of different protein treatment products for sale in stores and online. You can also make your own protein treatment at home which is often more affordable and convenient. Protein treatments benefit the hair because hair consists mostly (about 91 percent) of a protein called keratin. However, keratin can deteriorate within the hair strand following harsh events like chemical processing, color treatment, bleaching, straightening, and curling. Essentially, any heat or chemical applied to hair overtime does cause damage and leaves gaps in the protein that normally coats hair. Protein treatments therefore serve as a quick repair to restore those gaps and enhance the strength of the hair strand. How will I know when I need a Protein Treatment? All of these signs reveal that hair has lost its vitality and elasticity meaning it has lost protein. Fortunately, these effects can be reversed and the protein can be restored with a protein treatment. It is just important not to do protein treatments for too long or too often, because too much protein in the hair can make it dry and brittle leading to further breakage. How do Protein Treatments benefit hair? Whatever your hair type, protein treatments will enhance your natural hair structure. This is especially helpful for individuals who have chemically treated their hair but wish to restore it back to normal. However you wish to style your hair, protein treatments make hair more resilient to withstand styling and just more healthy in general. These are intended for minorly damaged hair (think daily sun exposure) and should be used every one or two months. Intended for moderately damaged hair (think minimal heat styling) and to be used more frequently, like every two weeks. Sometimes simply called “reconstructors,” these treatments are for severely damaged hair (think extended heat styling or color treatments). These should be used every one to two weeks. Some individuals have been known to use protein treatments on their hair as often as two or three times a week. While that frequency may be necessary for some, it is highly ill-advised for most. If you have never used a protein treatment before, then it is best to start out slow and see how your hair responds to the treatment. This may look something like doing a protein treatment only once a month or once every two weeks. Protein treatment for hair is not a perfect science and in fact is personalized to individuals, their hair types, and their hair needs. Accordingly, many people resort to making their own protein treatments at home. 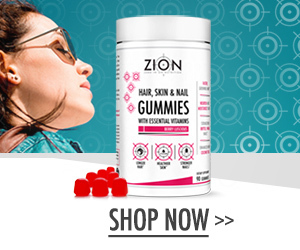 This not only saves money, but also allows you to pick and choose the ingredients that you believe will produce the best results for your hair. Contain a high-fat content and consists of a lot of protein and nutrients. This is ideal for improving hair health. Avocado repairs damage to the hair cuticle while strengthening hair strands. It also adds moisture to areas of the hair that are dry, brittle, and at the greatest risk of breakage. Coconut oil as well as coconut butter, offers a rich supply of healthy fats and proteins. This combination is perfect for moderately or severely damaged hair that has already experienced breakage and is in need of deep moisture. Considered the best protein treatment for heat damaged, natural hair, contains protein as well as enzymes not found in other protein treatments. For fine hair, use the whole egg; for frizzy or oily hair, use only the egg whites. Not only good for the body and gut health, but also hair health. Like other dairy products, Greek yogurt stands as an unrivaled source of protein. Yet, what makes Greek yogurt perfect as a protein treatment for hair is its high level of lactic acid which cleanses the hair of any pollutants or chemicals that may still be adhering to it. The fat in yogurt also provides a moisturizing effect for added shine. This sandwich condiment, contains egg as it main ingredient as well as lemon juice and vinegar. The egg provides protein and enzymes while the lemon juice brightens hair and the vinegar removes any buildup of hair product, chemicals, or pollutants on the hair. When massaged into the scalp, these ingredients make mayonnaise a great treatment for dandruff as well. Contains vitamins A and E, two fat-soluble vitamins that easily penetrate hair cells and lock in moisture. This oil is lightweight, however, so it nourishes hair without weighing it down. Olive oil also eliminates frizz, a common complaint of people with curly hair. Full of antioxidants and nutrients which naturally promote hair growth. On the other hand, raw honey is a natural humectant meaning it attracts moisture. Thus, this ingredient will alleviate dry hair and keep it moisturized. Offers a rich supply of essential fatty acids and antioxidants ideal for moisturizing hair and protecting it from damage. Shea butter can also fight inflammatory scalp conditions which may affect hair growth and shine if left untreated. Wet hair thoroughly with warm water. Apply protein treatment to hair focusing on its strands and ends. Cover hair with a plastic cap and allow treatment to soak in for 30 to 45 minutes. Remove cap and rinse hair with cool water. Shampoo and condition hair as normal. You can warm the protein treatment before applying it to hair to enhance its penetration but avoid this if you include egg as the egg will scramble in your hair. Also, do not leave the treatment in for longer than 45 minutes as it will harden and cause hair to break off. Finally, some individuals shampoo their hair first and then use their protein treatment as their conditioner which is perfectly fine. So, mix things up and enjoy your beautiful results!